Soufflés are often regarded as one of the most difficult dishes to perfect in the kitchen. Follow a few simple rules, however, and they can become much less daunting. 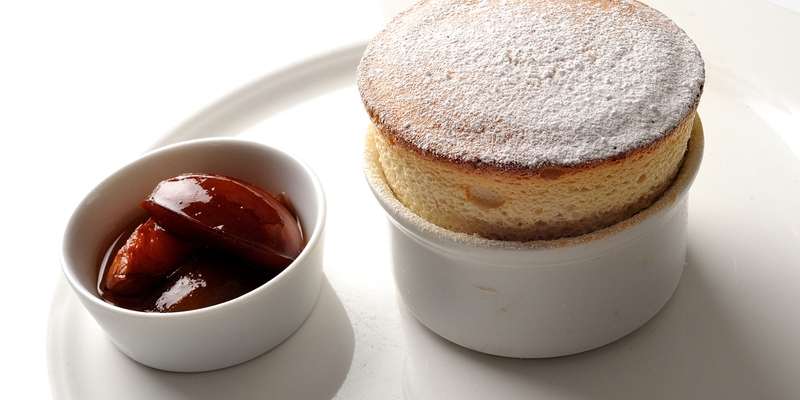 A soufflé can be sweet or savoury and should be light as air but full of flavour. Due to their perceived difficulty, they are bound to impress at a dinner party or as part of a romantic meal for two. Soufflés consist of two main parts, whipped egg white and a base. The base provides stability and flavour and is normally made with a crème patisière for a sweet soufflé and a cream base for a savoury soufflé. It is important that this base has quite a thick consistency as too much water content will prevent the soufflé from rising. The eggs should be whipped to very stiff peaks. If adding sugar, add half the amount at the start then gradually whisk in the rest. When mixing the eggs and the base together, it is best to do this in two parts; fold one third of the egg white into the base with a spatula and beat until fully incorporated. Next, very gently fold in the rest of the egg white trying to keep as much of the air in as possible, the air trapped inside the egg white is what makes the soufflés rise in the oven. Cooking times and temperatures vary from recipe to recipe but generally the oven will need to be preheated to a high temperature. Soufflés will take anywhere between 7 and 10 minutes to cook. The most vital thing when cooking a soufflé is not to open the oven door until the end of cooking. Doing so will cause the soufflé to fall and all your hard work will go to waste. Try Pierre Koffman’s world-renowned Pistachio soufflé or for something savoury, why not have a go at Galton Blackiston’s Gruyère and bacon soufflé.